We have combined the BEST workouts in Chicago with personalized nutrition & accountability! Our Nutrition Packages are designed with results in mind. Make the commitment to your health! Life is busy! Let us help you make it easier by building a meal plan just for you! We’ll take your schedule, dietary needs and cooking level all into account to a create plan that makes getting meals on the table easy and fun! Individual meal plan is developed by Sara Haas, RDN, LDN, author and leading culinary nutrition expert. This is the best deal on a combined fitness and nutrition package you will find! 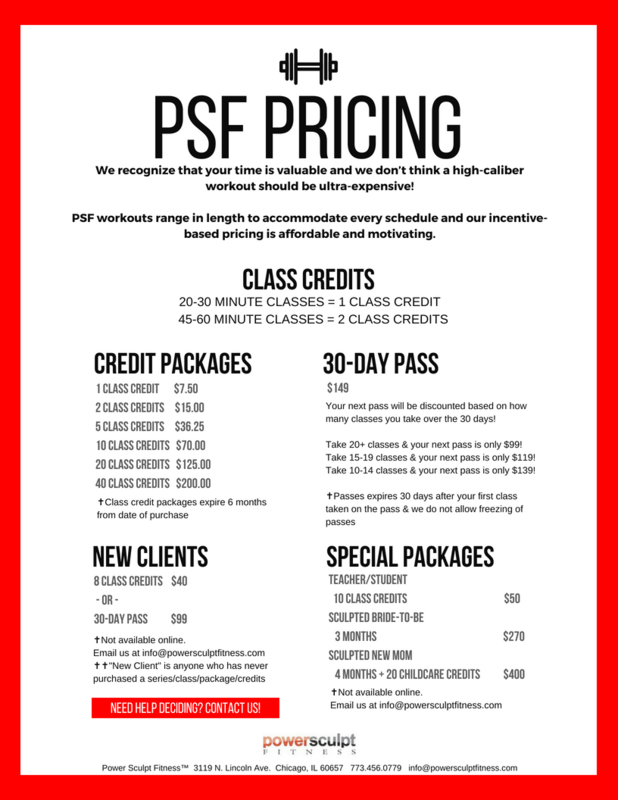 Along with your 30-Day Pass of Power Sculpt Workouts, you’ll receive premier motivation and a solid, super fun, nutrition program. Nutrition Program includes: Recipes, Nutrition Tips & One-Week Meal Plan developed specifically for YOU based upon your answers through a detailed diet and health intake form. Does your kitchen need a little T.L.C.? Would you like some help cleaning out those expired foods and re-filling with amazing foods? Then this service is for you! Here’ how it works. We’ll meet you at your casa and we’ll chat. We’ll spend some time talking about you – your needs, your schedule, and other relevant topics. And then it’s off to your kitchen! We’ll go through your fridge, freezer and pantry and figure out what to keep and what to toss. Then we’ll talk about what to stock it with and how to keep it organized! Complete Kitchen Detox is performed by Sara Haas, RDN, LDN, author and leading culinary nutrition expert. Prepare to achieve and even exceed your fitness and nutrition goals in with our Accountability Bootcamp! Are you ready for serious change? Then you need us! Trained experts working side-by-side to MAKE SURE you are choosing wisely when it comes to nutrition and fitness. This intense results-oriented program is a highly personalized approach that will hold you accountable & propel you towards real results! Fitness Program: Initial Fitness assessment plus Personalized Workout Guidelines based on your schedule, fitness level & interests. Nutrition Plan: Recipes, Nutrition Tips & Two-Week Structured Meal Plan developed specifically for YOU through a highly detailed diet and health intake form! Accountability: Two weeks of real-time check-ins with leaders via text platform. We want you to succeed – multiple daily check-ins are 100% REQUIRED. Maintenance Phase: One week of individually tailored support to prepare you to maintain steady improvement long-term! This one-of-a-kind program is led by Heather Hughes, M.Ed., ACSM & ACE Certified, one of the top fitness professionals in Chicago and owner of Power Sculpt Fitness, and Sara Haas, RDN, LDN, author and leading culinary nutrition expert. 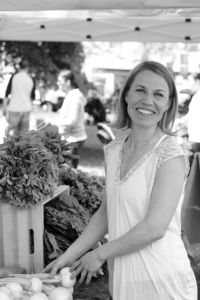 Sara Haas RDN, LDN, is a food and nutrition expert with formal training in the culinary arts. She works as a freelance writer, recipe developer, media authority, public speaker and consultant dietitian/chef. She is the author of Taco! Taco! Taco! and co-author of The Fertility Foods Cookbook. Sara is a former culinary and nutrition instructor and served as a National Academy of Nutrition and Dietetics Media Spokesperson. Sara has been featured in Eating Well Magazine, Shape Magazine, Parents Magazine, U.S.A. Today, The Wall Street Journal, The Huffington Post, Epicurious, BabyCenter, O Magazine and Today’s Dietitian Magazine. Sara also shares her love of food and nutrition on her website, SaraHaasRDN.com and on Instagram (@cookinRD) where she posts recipes, as well as nutrition and cooking tips. 30-Day Pass can start anytime within 30 days of package purchase. 30-Day Pass allows for a maximum 60 Class Credits to be used within the pass dates. All classes have a eight (8) hour cancellation policy. PLEASE DO NOT LATE CANCEL OR NO SHOW! Every ‘no show’ will result in the loss of one (1) day off of your pass & after three (3) ‘late cancels’ your online booking privileges will be suspended for one (1) week. ALL purchases are non-transferrable & non-refundable.